The flag will have a height of 185 feet. 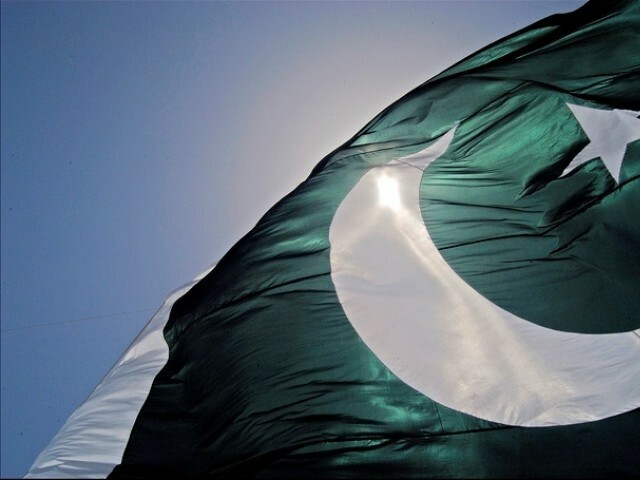 PESHAWAR: Senior Provincial Minister for Khyber-Pakhtunkhwa Bashir Bilour on Monday inaugrated the plan to hoist the highest national flag in the historical Jinnah Park. The flag, with the height of 185 feet, will be completed by June 30 and the total cost spent on the plan would be Rs2.6 million. Bashir Bilour said the plan was a result of the efforts of the ANP. He said the party is ready for a dialogue with militants if they surrender. Speaking about the Saraiki province, Bilour said everyone under the constitution has a right to struggle and his party would support the province. Celebrating their team’s victory amid bhangra and fireworks, the ‘spirit’ of Mohali was flowing freely. Skit at PNCA depicts country’s many problems, patriotic songs bring message of hope. In 1947, ANP was governing N.W.F.P……. Great leader Quaid-e-Azam has not given a right to this party to join PAKISTAN rather referendum was polled for the public……. ANP shouted too much on this but all in vein and the result of referendum was with PAKISTAN……. Afterwards when the ceremony of rising up the national flag was being held, ANP didn’t raise the national flag, on that issue Quaid-e-Azam dissolved the provincial assembly……. ANP never existed in 1947. Please correct your history. It was congress which was in government then. By the way, people of Pakhtunkhwa does not need your certification from indian mohajirs whose leaders have yet to some thing good for Pakistan. The most towering Liaqat Ali Khan ruled unelected for five years but only produced a fifth grader answer to the constitution of Pakistan. He remained busy in alloting and grabbing lands where all these double agents are living today. @Maria, While reading my above comments how can you say that they were consistent staunch supporters of PAKISTAN???? Was Quaid mad that he called for referendum in this province only while not in the other three???? Remember! there is a big big difference between the Pushtoons mindset & sons of ghandhi mindset…. Pushtoons & others of this province won the referendum by voting for PAKISTAN because they are patriot & the sons of ghandhi defeated ignominiously because they are indian proxy agents…..
We respect the majority, these sons of ghandhi are in minority, restricted only to Charsaddah…..
We’ve already respected and accepted the mandate of majority (result of referendum in 1947) but they did not…..